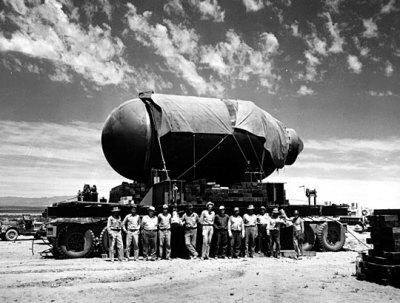 Manhattan Project It is risky to take pride in weaponry, lest doing so lead people to believe that the proud are villains. America is not a land of evil people. But like all nations of peoples, Americans are warlike and proud of their almighty ability to defend themselves “against all enemies, foreign and domestic.”To that end, scientists, led by Robert Oppenheimer and Enrico Fermi, labored diligently for some six years developing nuclear physics to an understanding requisite to crank out a weapon of unfathomable power. 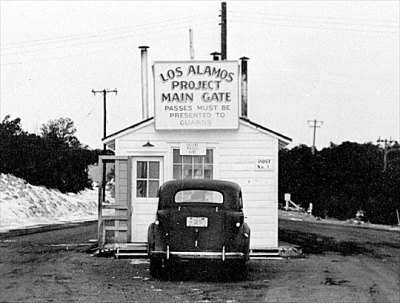 The whole project was given a big headstart by Dr. Albert Einstein, who signed a letter written by Leo Szilard, which was sent to F. D. Roosevelt, advising him that the Nazis were probably trying their best to invent a nuclear weapon, which they would certainly use on the civilian population of some large city, probably London or Moscow (or on a large population of Jews).It is, therefore, on the books that America became the first nation to complete the understanding of nuclear fission and developed the first weapon using this technology. Harry Truman’s decision, in 1945, to use it on the civilian population of Japan, the only serious threat to Allied safety at the time, remains extraordinarily controversial, but it did its job: putting an end to the mightiest, deadliest war in human history. Japan was largely intent on fighting to the last man, which would have lasted years more. 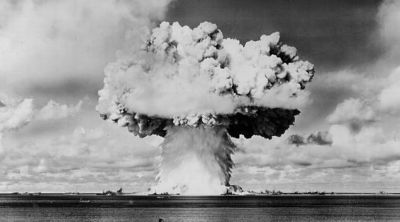 The atomic bombs Fat Man and Little Boy changed their minds in 4 days. A time of great evil, but this list is not about evil or good events, only those that are important.